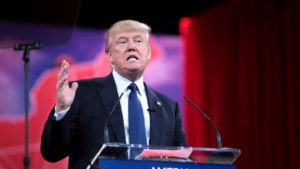 Donald Trump’s decision of banning the entry of the nationals of seven Muslim-majority countries – Iran, Iraq, Sudan, Somalia, Yemen, Libya and Syria- has created a global furore. World leaders like the Canadian prime minister, Justin Trudeau and German chancellor, Angela Markel have strongly condemned the ban and have asserted that they would not change their immigration policies. After the US president, Donald Trump imposed a ban on seven Muslim-dominated countries from entering the country, which will remain at least for 90 days, the politicians, civil society members of the world and the United Nations have reacted with condemnation. There were many protests held in and outside the US against the order. As of right now, the decision is being contested by the American judiciary, and time will tell whether the ban can be executed. Last Saturday, two judges have temporarily blocked the portion of the order, momentarily stopping the Trump administration from deporting refugees and other travellers from the seven countries. The ruling does not strike the order down but will now be subjected to court hearing. In order to defend himself, Trump said that the ban is not on Muslims, but it aims to tackle the strong wave of terrorism that the US is subjected to. “It’s not a Muslim ban,” Trump said. The US president’s decision of closing the border for predominantly Muslim countries has created anxiety around the world and it has not left the Indian Muslim migrants. But, the experts of the India-US relations feel that the Indian Muslims need not worry about the decision, though there is a possible worry for the emigrants of Afghanistan, Pakistan and Saudi Arabia who are subjected to heavy vetting. India, which houses the second largest Muslim population in the world, has not seen any major terror attacks in the resent past and the country has good political and business relations with US. The Indian Ministry of External Affairs (MEA) has tried to appease the Muslim community of Indian origin by reiterating that India doesn’t harbour Muslim radicals, and hence, needn’t worry over resultant measures being taken around the world. “India is not really worried at the moment as the religious radicalisation has not been a big problem in the country and it has not been a source of refugees. So far, no Indians have been arrested abroad for being involved in acts of terror,” a senior MEA official said while requesting anonymity. The UK also put the note of interrogation on immigration and is in a process of learning the consequences. “But, we do not agree with this kind of approach and it is not the one we will be taking. We are studying this new executive order to see what it means and what the legal effects are, and in particular, what the consequences are for the UK nationals,” a spokesperson for the British prime minister said. While showing utmost generosity to the refugees and condemning the US order, Canadian prime minister, Justin Trudeau has welcomed those fleeing war. “To those fleeing persecution, terror and war, Canadians will welcome you, regardless of your faith. Diversity is our strength. #WelcomeToCanada,”PM Trudeau said on Twitter. Among the other countries, France, Germany and the Luxembourg also voiced opinions against Trump’s decision. Companies like Netflix, Google and Facebook have also condemned the order. Netflix Inc’s CEO said that the changes were ‘un-American’. Alphabet Inc’s Google-advised staff may be impacted by the order to return to the US immediately. What will it bring for the Indian Diaspora and companies? Will the privilege reap desired dividend?